Northwind Construction Inc. of NH has been renovating Southern NH and Northern MA for over 15 years. We began working with new homeowners to build their ideal home. As years went by, and all our customers made our house their home, we realized that are work to them was not quite done. Additions to the family meant additions to their home and soon the basement, kitchen and bath remodels came. Fifteen years later we specialize in interior remodels and treating all our customers like our very first. 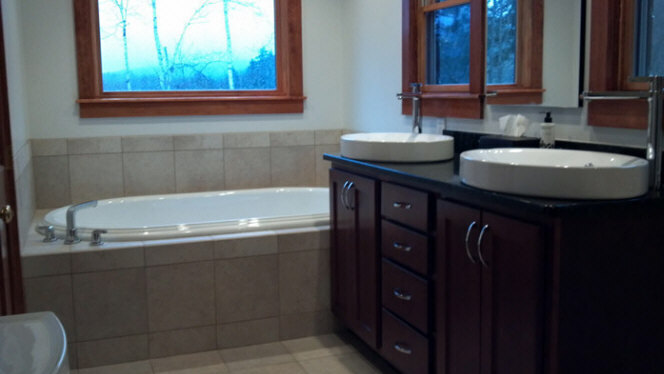 Northwind Construction Inc. of NH provides an extremely unique approach to remodeling with our one stop shopping approach. Our team will work side by side with you to complete your project. We will work with you to envision your project from start to finish. We can help create your plans, complete your plan, and we will bring in any specialist you may need during the process, such as plumbers and electricians. Not sure about your flooring? Our design team will walk you through it? Having a tough time choosing the wood for your cabinets? We will make sure you know everything you need before making your decision. When you call Northwind Construction, your work is already done. Please review our project portfolio and testimonials and contact us for your next project. We've been in business for over 13 years, specializing in all phases of new home construction, residential remodeling and renovations. Our company has been built on a foundation of repeat customers and client referrals, we value our customers and strive to maintain those relationships even after the project has been finished. We understand the importance of bringing good qualified people into your home. We screen our employees and sub contractor's closely, performing background checks when hiring. Our staff is qualified, polite and courteous. We continually improve upon our process to ensure the procedures we use are up-to-date in both technique and style. Northwind Construction Inc. is a fully licensed and insured construction company in New Hampshire and Massachusetts. We stand behind our work, and for that we guarantee a 100% warranty for all services we provide. Most importantly, we work hard to keep our customers happy and involved in the construction process, we communicate regularly with them and treat them like members of our team.